When the holidays arrive it’s important not to forget your child’s teacher. For 180 days out of the year, your child’s teacher takes him off your hands and helps to mold him into a knowledgeable little being. I think that’s more than enough to deserve a holiday gift. 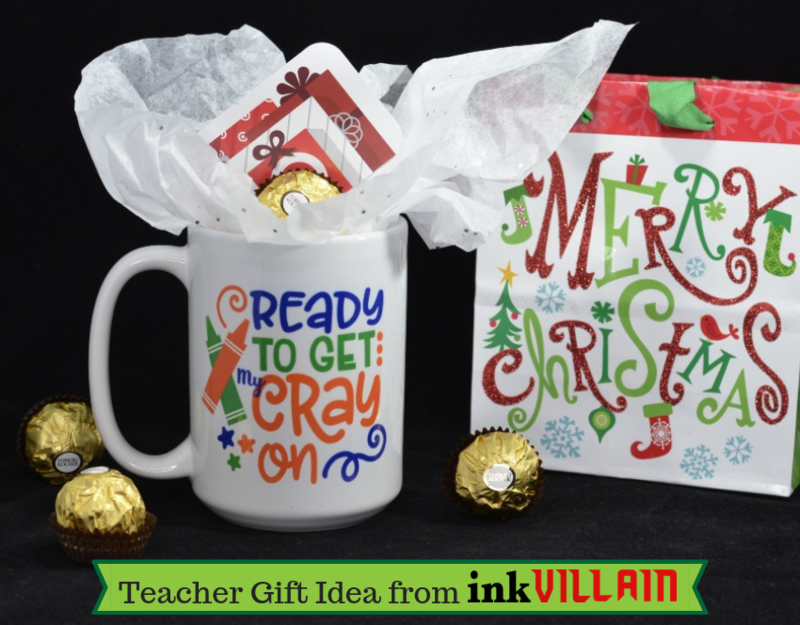 Many will say to steer clear of gifting coffee mugs because teachers likely have so many as it is, but this one from Ink Villain is just too cute and clever not to gift! My son is in 1st grade, so this is only the second year I’ve bought teacher gifts. I’m still learning what is and isn’t acceptable, or wanted, I should say. 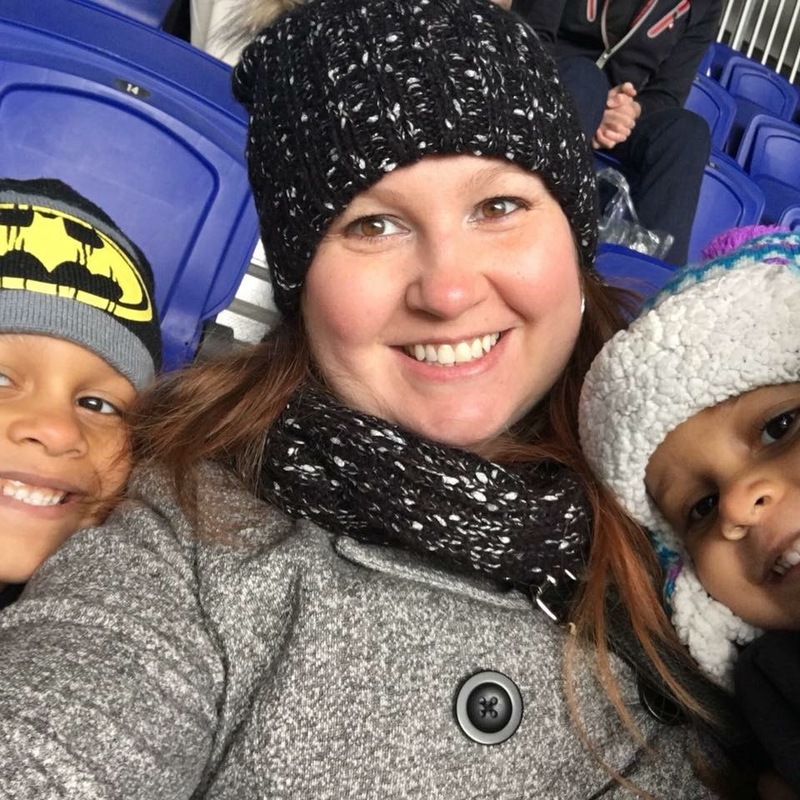 This year, at the very beginning of the year, in all the paperwork I received to look over, I got a little info on my son’s teacher. As soon as I saw it, I knew it would come in handy at the holidays. 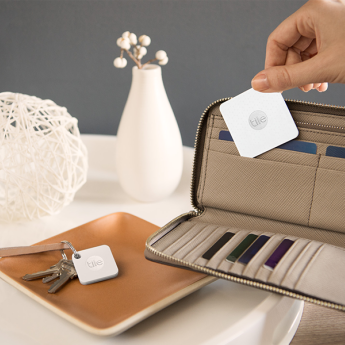 Favorite color, favorite store, some of her favorite things…this makes it easy to determine the perfect gift. Favorite store is Target? No problem. You get a Target gift card! Love chocolate? No problem. You get Ferrero Rocher! Addicted to coffee? I’ve got you covered. 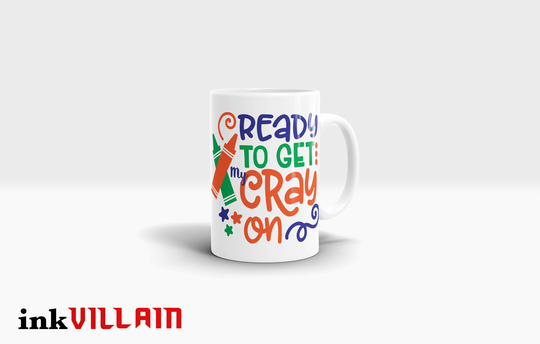 You get the cutest and most clever coffee mug I’ve ever seen, and it fits perfectly with being a teacher – this “Ready to Get My Cray On” coffee mug from Ink Villain! I don’t care how many coffee mugs a teacher has, she needs this one to start her day. I’m sure some days are crazier than others, so every teacher has to arrive at school ready to get their cray on. 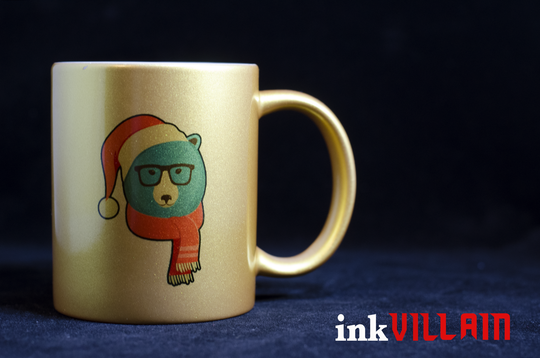 This particular Ink Villain mug comes in either a standard 11 oz. 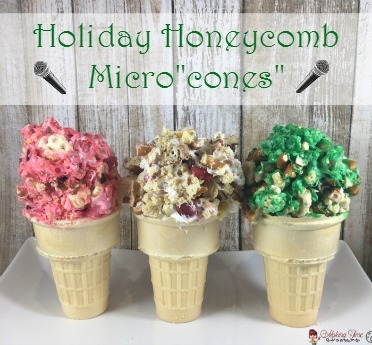 size or a larger 15 oz. size. I opted for the 15 oz. because I can only imagine how much caffeine my son’s teacher needs to get through a day with 18, 6 and 7 year olds. Some days I can hardly manage my own kids. Think your child’s teacher would love this coffee mug too? I have your chance to win one! 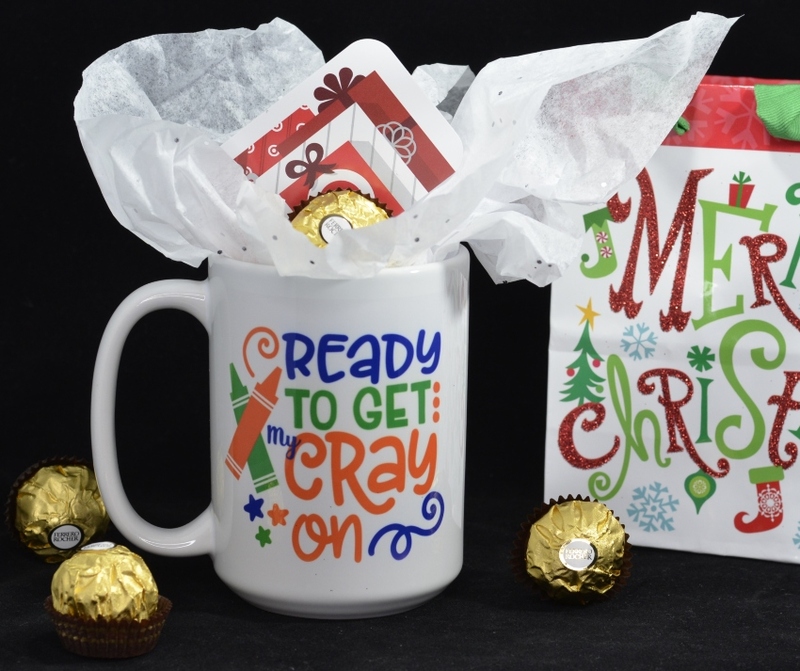 Or, if you’d rather have a new coffee mug yourself, there are some holiday themed designs to choose from. One winner gets their choice of the 4 mugs pictured below. 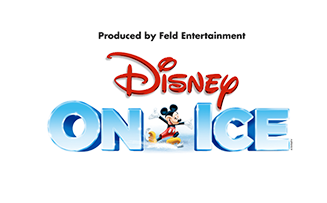 Enter to win using the giveaway form. What do you like to gift your child’s teacher? One lucky Making Time reader will win their choice of 11 oz. 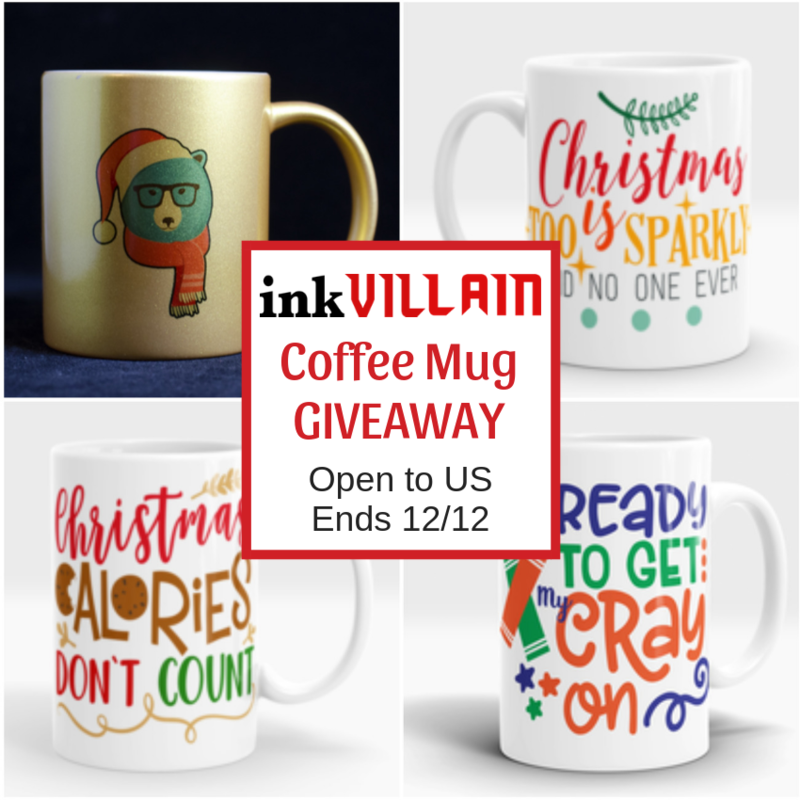 coffee mug from Ink Villain (one of the four shown in the photo)! Good luck! 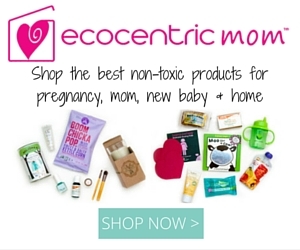 This giveaway is open to residents of the US, ages 18+ and ends on December 12, 2018 at 11:59 pm est. Random winner will be notified via email and must respond within 24 hours or prize will be forfeited. Sponsor is responsible for prize fulfillment. I love this idea. Sometimes i have a hard time searching for teacher gifts. This is perfect and fun. My son is a teacher. He would like this cup. I believe our teachers need so much more love and appreciation not only from us as the parents but the community and government as a whole. They are the ones who are teaching our future.